Manchester United have been active in the summer transfer window with three new arrivals, but much more is expected from Jose Mourinho and the board before the start of the 2018-19 Premier League campaign. So far Diogo Dalot, Fred and Lee Grant have arrived at Old Trafford, but several more established and talented players have been linked to us. Reports in recent weeks have suggested that PSV Eindhoven and Mexico star Hirving Lozano could be on his way to the record champions of England to solve our issue on the right wing, whilst Alex Sandro may arrive from Juventus as an upgrade at left-back. Jose is expected to bring in a new centre-back before the start of the new season too and many feel Tottenham will cash in on Toby Alderweireld this summer before a cheaper buyout clause is activated for next summer. The rumours of a move to Real Madrid have been extinguished and the best goalkeeper in the world will remain at Manchester United next season. David de Gea had the best shots to save ratio in the Premier League last season giving us excellent protection between the sticks. Diogo Dalot may be the long-term replacement for Antonio Valencia but the Ecuadorian will start the majority of games at right-back for us next season. Inside him will be Eric Bailly, provided the Ivorian remains fit. Jose is looking for a new centre-back because he doesn’t have trust in either Chris Smalling, Phil Jones nor Victor Lindelof. Toby Alderweireld is likely to leave Spurs this summer and I am confident we’ll land him. An excellent defender who could strengthen our defence. Likewise, Juventus may need to cash in on Alex Sandro to sign Cristiano Ronaldo – the Brazilian would be an excellent upgrade at left-back for us. Nemanja Matic started nearly all of our games last season and the Serbian shall remain in front of our back four next season. 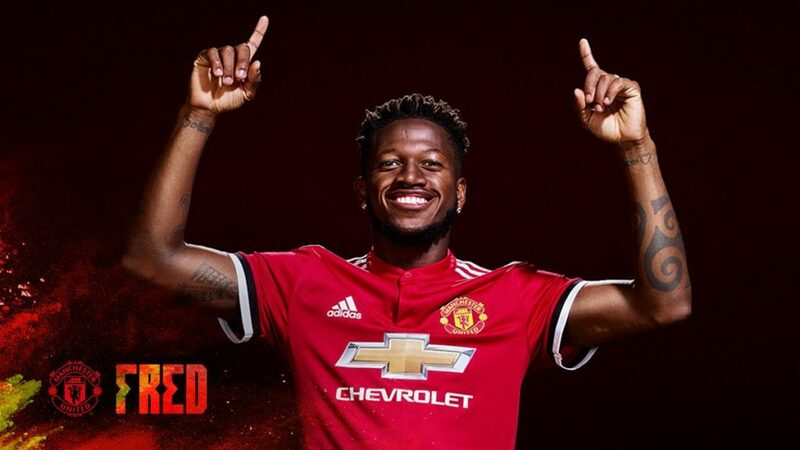 New signing Fred will be part of the midfield three, backed up by Ander Herrera, Scott McTominay and Marouane Fellaini. This should allow Paul Pogba more freedom to venture forward which is what he is best at. The arrival of the Brazilian should mean we see the best of Pogba this season. 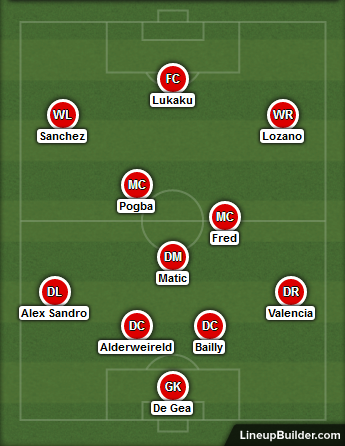 Jose Mourinho tested out Juan Mata, Marcus Rashford and Jesse Lingard on the right wing last season but I think we’ll make a new investment over the summer. We have been strongly linked with a move for Hirving Lozano, and if we can pull that off it’ll add another goalscoring threat from out wide. Alexis Sanchez maintains his position out on the left with Marcus Rashford acting as the backup. Romelu Lukaku should have no fears about his starting role at Manchester United. why replace Young who is the best english left back? Let them sign these stars for us as soon as possible,i mean Sandro,Toby,Lozano…They are good players.I think they will strengthen our squad.